The FamilySearch.org website offers FREE access to their database - OHIO, COUNTY MARRIAGES, 1789-1997. There are 1,978 people in the database who have listed Greece as their place of birth. 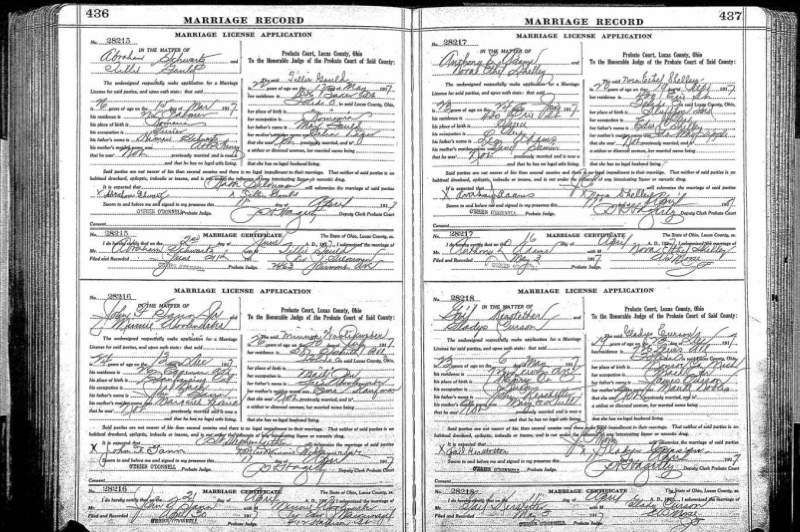 The "Ohio, Marriages, 1800-1942" is an index only to selected marriage records throughout Ohio.